The ever excellent US Public Interest Research Group has published the findings of its research into how much tax avoidance costs ordinary American citizens, and they make for shocking reading. 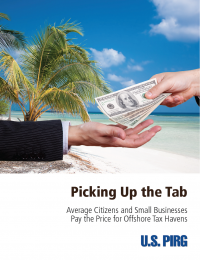 The headline news is that the average U.S. tax filer in 2011 would have had to pay US$426 to make up for revenue lost from corporations and rich people shifting income to offshore tax havens. Read the findings of Picking Up the Tab here.